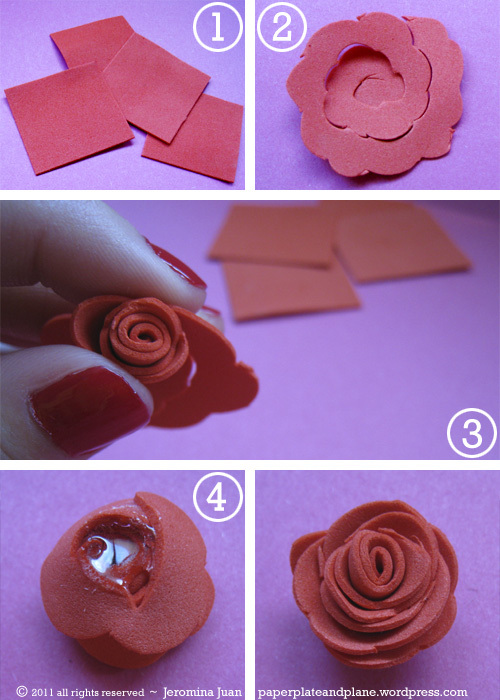 Brought to you from Paper, Plate, and Plane's blog, these foam rose flowers are stunning but super simple. We totally see the plethora of options to apply these to - we hope that you do! 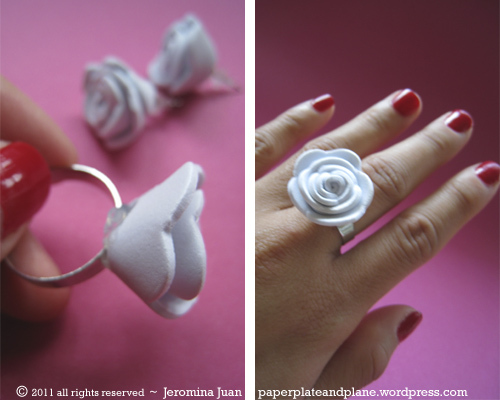 You have probably made paper roses before by cutting and rolling spirals of paper. This applies the very same technique, however, I’ve added the petal details by employing a simple tool that many of us have stowed in our crafting bins — scalloped scissors. 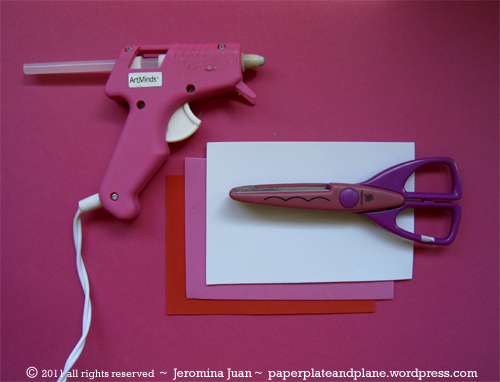 You will need: scallop-blade scissors, hot glue gun with glue sticks, and thin foam sheets. I purchased a multi-colored package of 36 – 4″x6″ foam sheets from the dollar store. They quality is much thinner than what you would find at the craft stores, however, they are the perfect thickness for this purpose. The thinner the foam sheet, the smaller you can make your roses. 1. Cut your foam sheet into 2″x2″ squares. A 4″x6″ foam sheet can yield six roses. 2. Using your scalloped scissors, cut each square into a spiral. Two and a half revolutions around the spiral should be sufficient. 3. Starting from the outside of the spiral, roll the foam sheet inward. 4. Apply hot glue to the bottom of the rose. 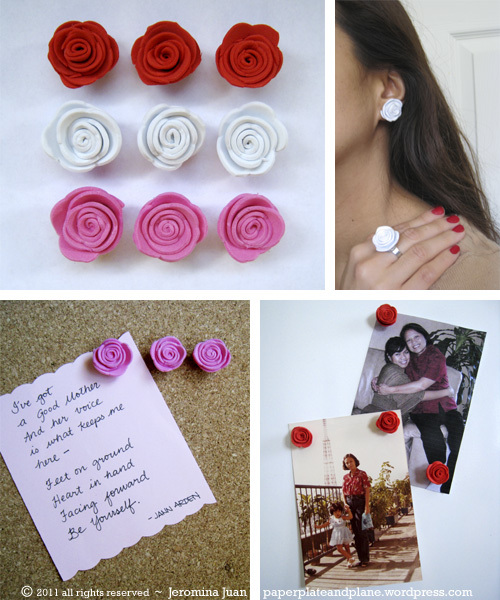 While the glue is still hot, you can apply the rose immediately to a magnet, thumb tack, earring backing, or fashion ring.